Primitive genius from the mighty Monks – their early demos for tracks that would eventually be ignited and explode on record for the uber-essential Black Monk Time LP and more – including the pre-Monks single by The 5 Torquays – issued properly in full for the first time ever by Light In The Attic! The thing that knocked us out about the Early Years compilation almost immediately is how sharp and clear the sound is – you never know the recording quality you'll get with the word "demo" in the title, but this stuff sounds great – secondly, the tracks demonstrate just how fierce these dudes were early on! The eerie organ, tribal thump of the drums, fuzzed out guitar and sneering vocals are in full glory here. This is a necessary set for longtime fans and would even serve a solid into to the uninitiated – and Light In The Attic has done an impeccable job with the booklet, photos and overall presentation. Pure greatness! 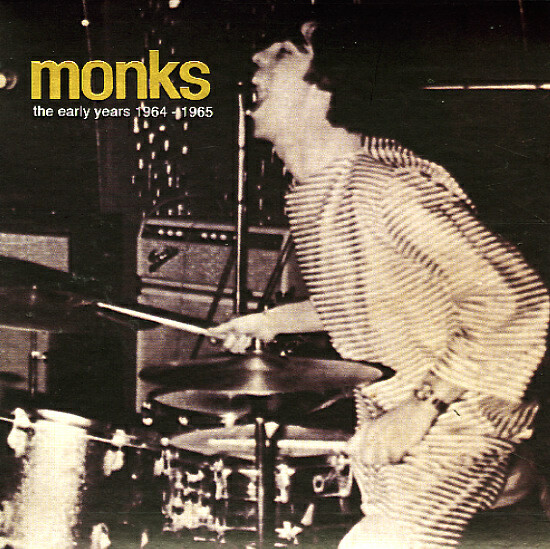 Titles include "Monk Time", "Love Came Tumblin Down", "Boys Are Boys", "Space Age", "We Do Wie Du", "I Hate You", "Pretty Suzanne", "Higgle-Dy-Piggle-Dy", "Hushie Pushie", "Oh, How To Do Now" and more from the '65 demos, plus 2 tracks from the a single recorded by the pre-Monks moniker "The 5 Torquays" in '64: the earlier version "Boys Are Boys" plus "There She Walks". © 1996-2019, Dusty Groove, Inc.